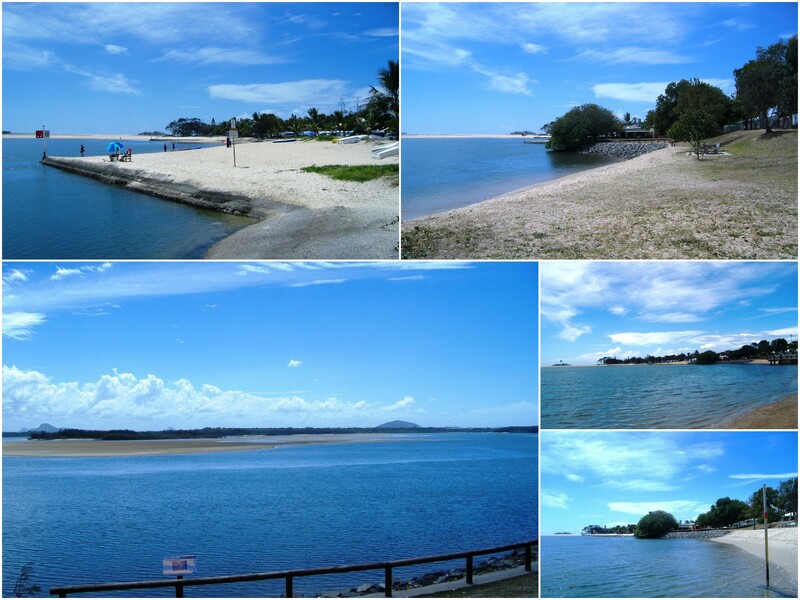 I have just enjoyed several lovely days up on the Sunshine coast of Queensland. 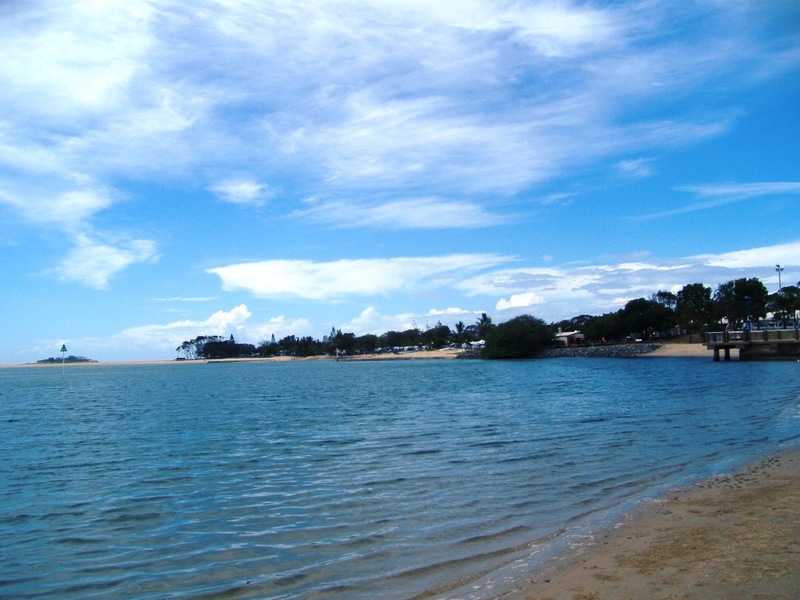 The Sunshine Coast is about an hour and a half drive north of Brisbane and stretches from Caloundra in the south to Noosa in the north. 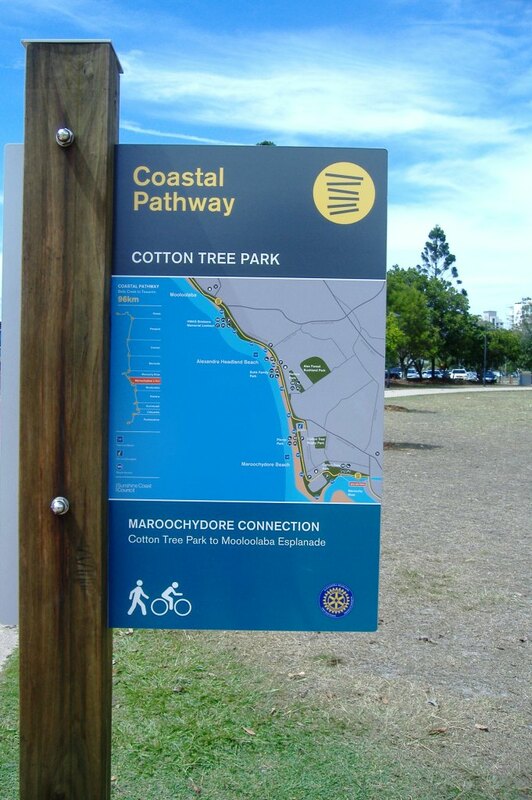 Cotton Tree is situated on the broadwater half way between Maroochydore and Noosa. 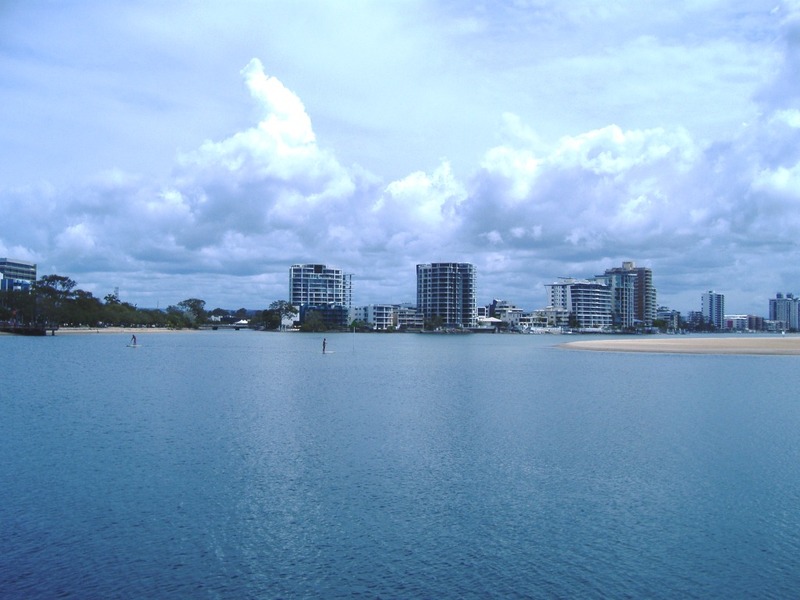 It is on the Maroochy River with direct access to the stunning Maroochydore Beach. 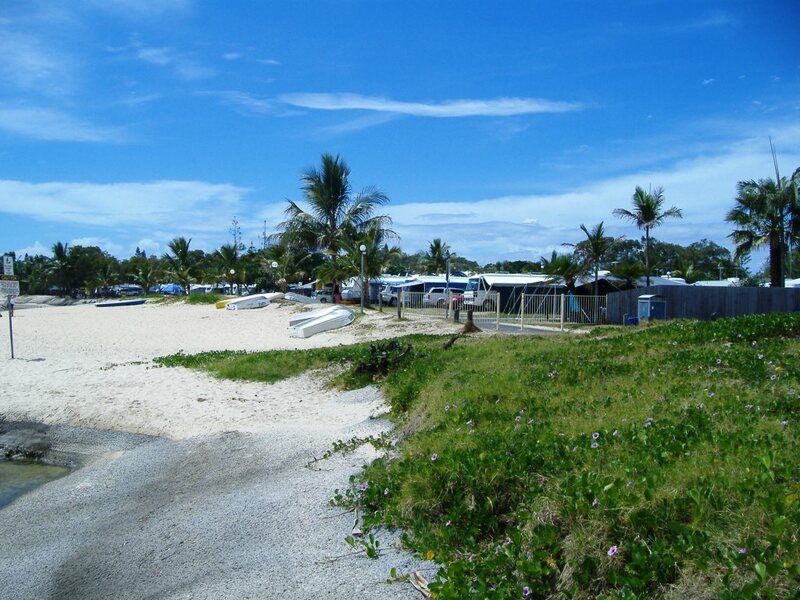 The river side is a lovely protected safe area with calm waters to swim, kayak, windsurf or sail and over the other side is the surf if you want to catch a few waves. 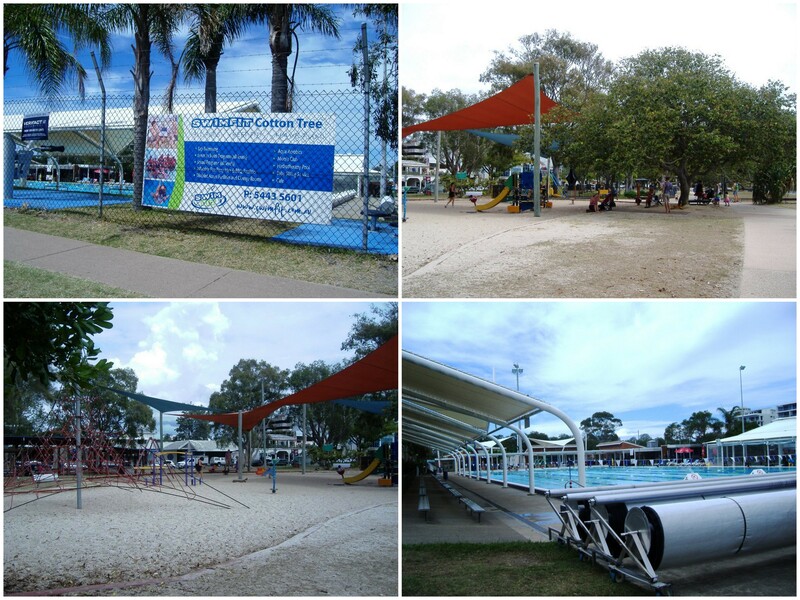 There is the Cotton Tree swimming complex with several pools and exercise areas. 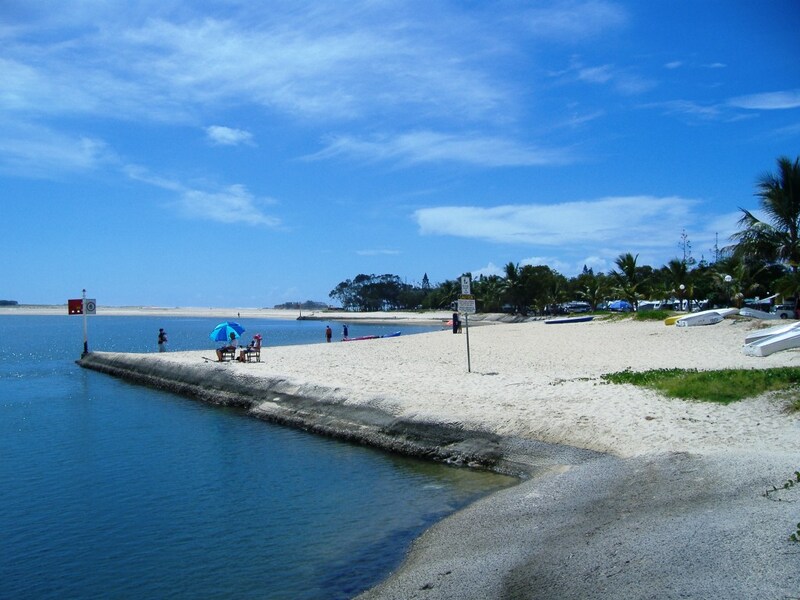 There are bike ways and walking paths, plus many places to swim right along the foreshore. If you feel like wetting a line there looked to be plenty of fish as we saw many fish jumping. Even if you don’t catch a fish it sure is a beautiful place to sit back, relax and while away a few hours. 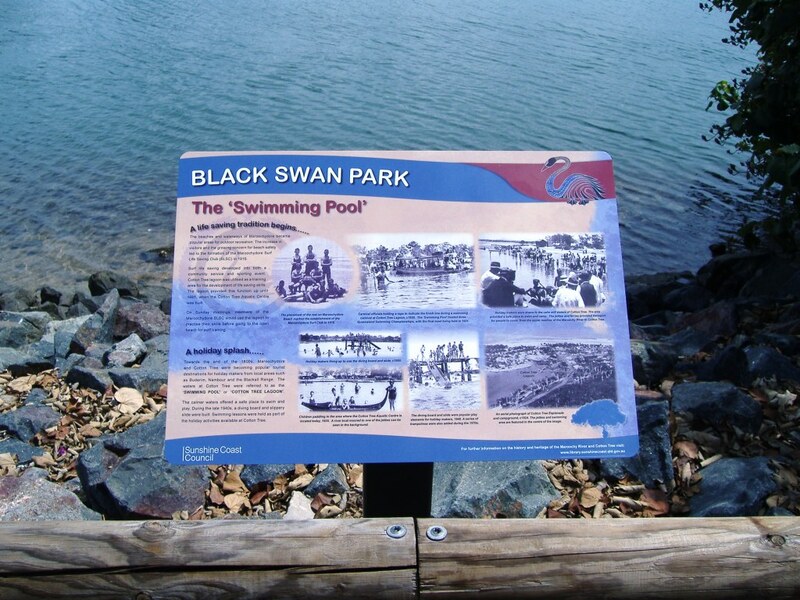 There are great parks and play areas for the kids and many barbecue and picnic areas. There is a good selection of restaurants. 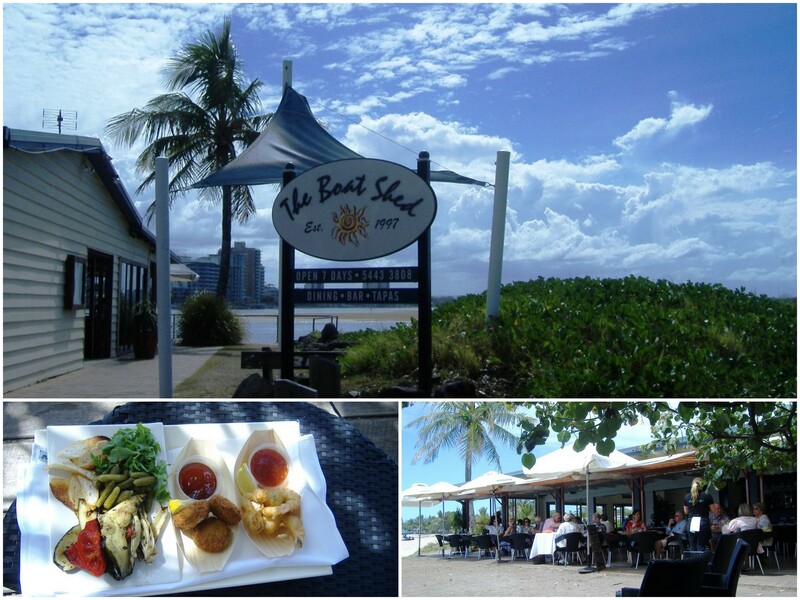 We chose to eat at the Boat Shed which is right on the water. We “dined” in the outdoor grassy area under the tree as we had 2 dogs with us but it was a perfect spot with spectacular views. 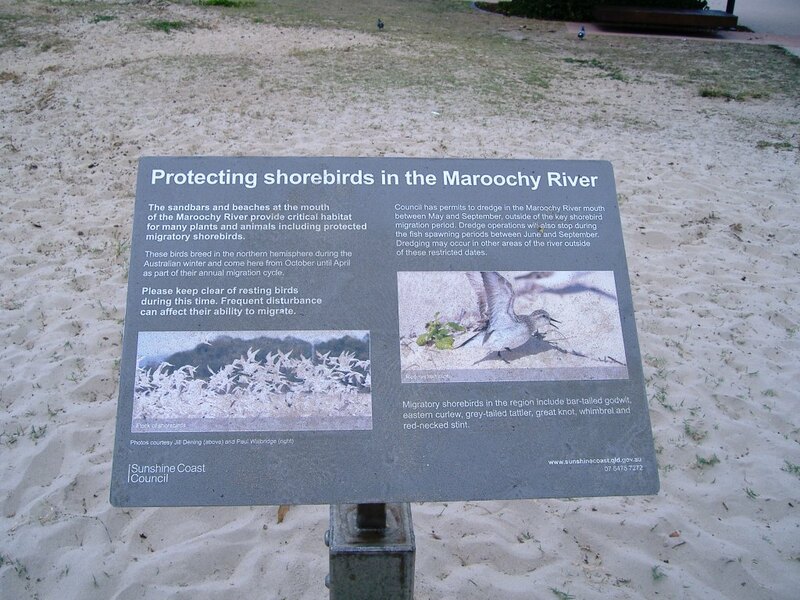 It is a very dog friendly area with dishes of water supplied along the ways. 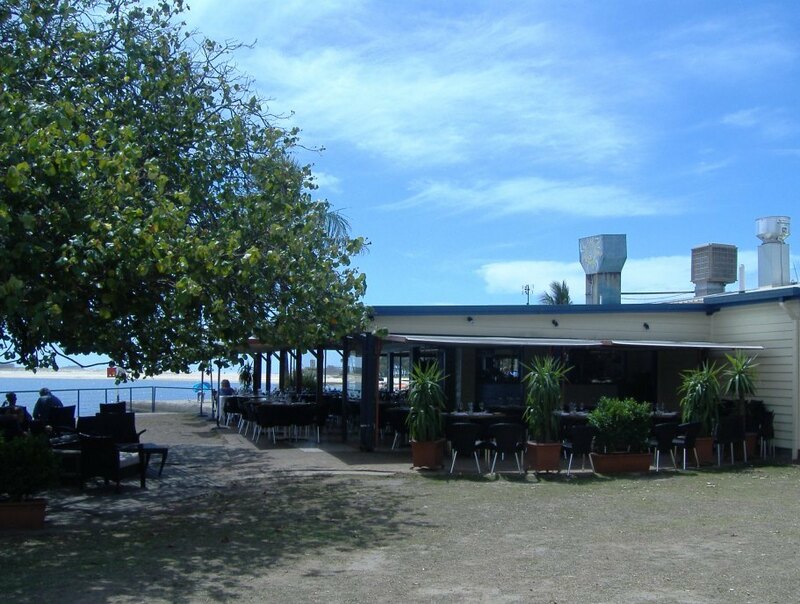 In Australia, dogs are not allowed to go in to restaurants but many of the restaurants in the beach areas offer designated areas you can sit with your well-behaved dog. 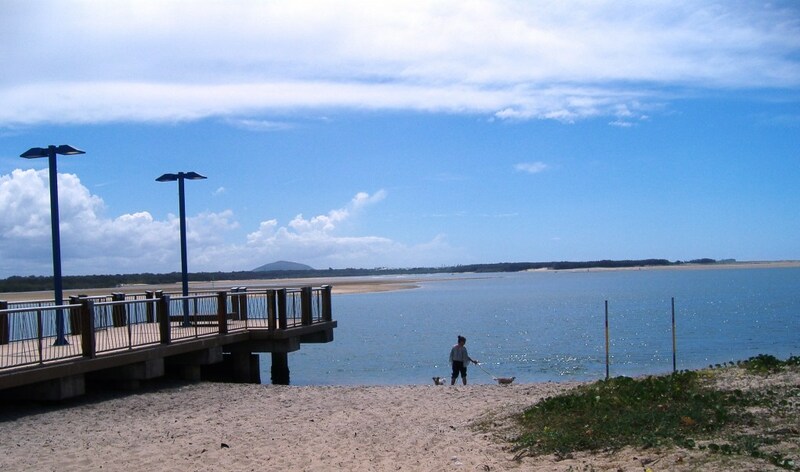 It is not uncommon to see people out with their pooches and then stopping for a coffee or a bite to eat. Very casual and very Aussie.